Whether playing a tennis match or defending a client in the courtroom, Patricia E. Lowry is a formidable competitor. As a partner with Squire Patton Boggs (US) LLP in West Palm Beach, she has handled national product liability cases involving pelvic mesh, hip implants, antibiotics, anti-coagulate medication, bone screws and other pharmaceutical and medical device litigation. Lowry has more than 30 years of experience defending these types of cases, including multi-district litigation (MDL) matters. Her practice includes employment litigation, consumer fraud, class actions and whistleblower matters. After graduating from the University of Kentucky, with high honors and as a member of Phi Beta Kappa, Lowry enrolled at George Washington University. She became notes editor for The George Washington Law Review, and earned her juris doctor with highest honors in 1981. While Lowry enjoyed law school in Washington, she decided to move to Florida where she could play tennis year round, while getting started with her legal career. She had clerked in Miami while still in school, so after earning her law degree she moved to South Florida and clerked for U.S. District Court Judge Jose Gonzalez, Jr., in Fort Lauderdale. In 1988 Lowry was named a partner in the firm, and moved north to West Palm Beach to help grow the firm’s litigation practice. One of her first major cases was defending a pharmaceutical company accused of providing HIV-contaminated blood products to three brothers, Ricky, Robby, and Randy Ray, who were all hemophiliacs. The trial resulted in a hung jury, but the Ray case made national headlines when the three boys were refused entry to Desoto County public schools. After a court ruled that the Ray brothers had every legal right to attend school, arsonists burned down their family home in Arcadia a week after the decision, and the Rays moved to Sarasota. Through the years, Lowry has handled many significant product liability cases, including serving as trial counsel and Florida regional counsel in the Vioxx® litigation, receiving a defense jury verdict in Tampa in 2007, the last case to be tried before the announcement of a global settlement. She was also a member of the national trial teams in the phenylpropanolamine (PPA) litigation defense, receiving a defense verdict in Sanford, and in the Baycol® litigation defense, where she managed hundreds of cases. Well-respected nationally throughout the legal industry, Lowry has been a leader in many legal and community organizations, including the American College of Trial Lawyers, where she is a fellow and a former state chair. In April 2017, she participated in a national litigation conference in New York discussing “Off-Label Use Warnings: FDA, Recent Precedents, Doctors and the First Amendment.” It’s one of the dozens of legal panels and seminars that she has provided insights to other attorneys during her career. As an appointed member of the Supreme Court of Florida’s Judicial Ethics Advisory Committee and 2011-12 chair, Lowry taught the Elections Forum ethics course offered to judges and judicial candidates in Palm Beach and Broward Counties. She has also led The Florida Bar’s Civil Trial Board Certification Review Course on the topic of examination of expert and lay witnesses. Lowry also served for many years on the Executive Council of The Florida Bar’s Trial Lawyers Section, and as president of the Federal Bar Association in Palm Beach County. Outside the law, tennis is one of Lowry’s long-time personal passions. She also enjoys the arts, and serves on the board of Miami City Ballet. With her husband, U.S. Magistrate Judge James Hopkins, she has been a leader in launching the Caroga Arts Collective, a nonprofit arts organization in upstate New York near their second home in the Adirondacks. 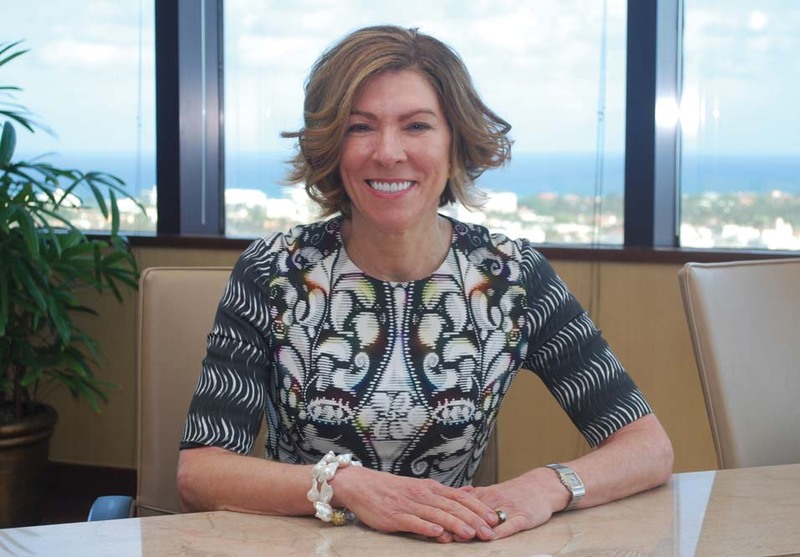 In the Palm Beach community, Lowry has also served as chair of the Chamber of Commerce of the Palm Beaches and been honored with its ATHENA Award. She was a board member and president of the March of Dimes Palm Beach, leading fundraising initiatives and receiving the organization’s Woman of Distinction Award. She has also been recognized by Executive Women of the Palm Beaches.